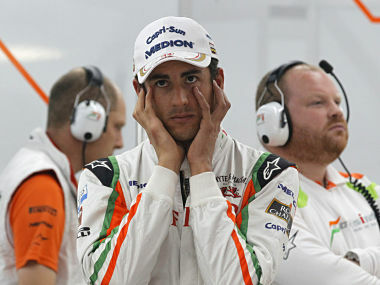 Sahara Force India drops Adrian Sutil and confirms Paul Di Resta and Nico Hulkenberg in the lineup for 2012 season. Briton Di Resta continued with the team for his 2md season in race seat, while Hulkenberg stepped up from his role as reserve driver. Mr. Vijay Mallya, Managing Director and Team Principal praised Sutil for contribution he has made to the entire team and wished him success in future. He said that their new lineup means they say goodbye to Sutil who has been with the team since they entered the sport. He has also been integral part of their success for over past 4 seasons and they wish him well for future. Mr. Mallya said that as for Nico, they recognized him as a rising star in late 2010 and chose to appraise him during the course of this season. In spite of having only limited time in the car, Nico persuaded them that he deserved a race seat for 2012. Di Resta said that he is in fact looking forward to the Formula One’s second season and will continue to develop and grow and with Sahara Force India. He also said all along that I love being part of this team: they are hungry for success, ambitious and we work well together. The Nico is certainly excited about this season and there is a real sense of belief, which they can continue to take another step forward and push top teams. He would also like to thank the entire team for all the hard work this year and for all the support they have provided him. Hulkenberg said that he is perceptibly pleased to be staying with Sahara Force India and to be given an opportunity to race in 2012. He is highly motivated for next year and would like to thank everyone for believing in him and giving him this opportunity. Sahara Force India is an F1 racing team situated in Silverstone, United Kingdom, which at present holds an Indian license. The team was formed in the month of October 2007 when consortium led by Michiel Mol and Indian businessmen Vijay Mallya bought Spyker F1 for €90 million.